This baking tip streamlined the steps I take to mix up batter. Hello, friends. It’s quiet around here. Jordan and Charles returned from the Seychelles yesterday which means Little Miss went home today. Let me tell you that four is such a cute age. My husband has been on a guys’ trip in the Caribbean for over a week, and so Little Miss and I had the house all to ourselves. It gave us a chance to really bond, and I loved every minute of it. I think she did, too. Thankfully, we will get to be together again in just a little over two weeks when we meet up in Peru. Now, let’s get on to today’s tip. I might be the last person on earth to figure this out, but I did a simple little step that helped organize my pantry shelf and also organize my baking. I hope you like this simple baking tip. You might remember that in our last house, I had a baking station set up in our pantry. Everything that I needed to mix up any cake, cookie, bread, or muffin was right there together. Although the pantry I have here is just as large as the last one, the counter top isn’t as wide. Mixing up ingredients isn’t as easy or convenient. 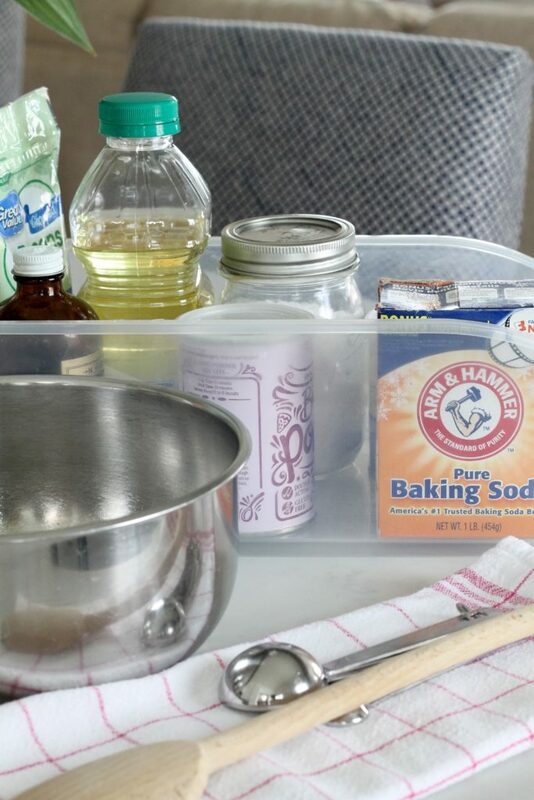 I found that when I have been preparing a batter, I was going back and forth from the cabinet in the kitchen to the cabinet in the pantry to get the basic items I needed. Then I had a thought. I used one of the bins that I bought for my pantry organization and put the basic ingredients I use for baking into the bin. (You can find similar bins here.) Now, I just carry the bin to the kitchen counter, and everything is at my finger tips. It was such a simple solution for me. I put the spices that I use most often when baking into another bin along with brown sugar. 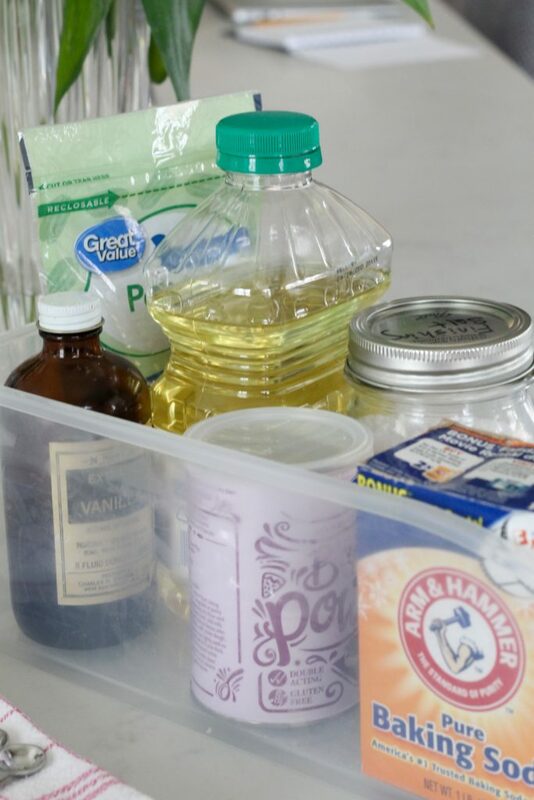 My bin holds oil, crisco, vanilla extract, baking powder, soda, salt and measuring spoons. 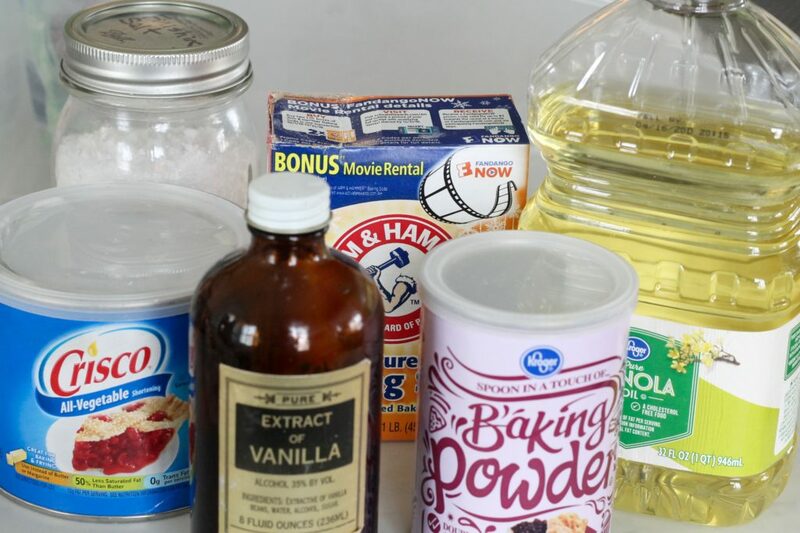 If you would like a recipe for vanilla extract, here’s the one we use, and here’s my recipe for baking powder. 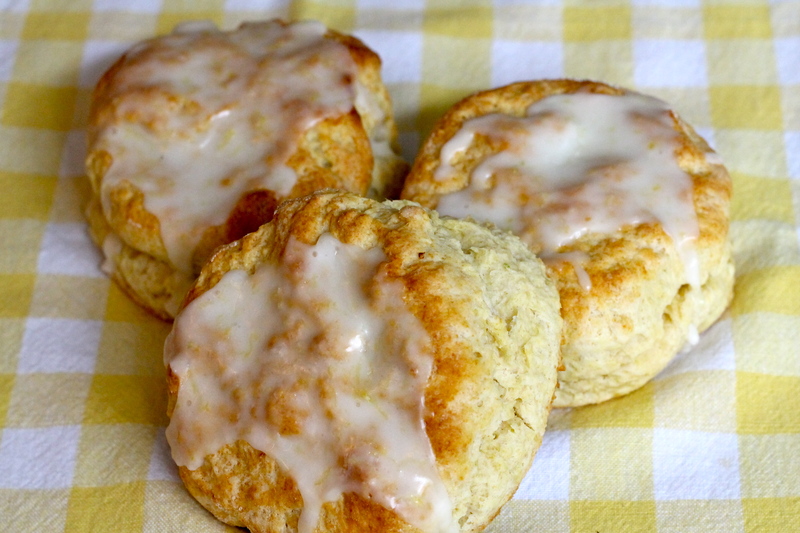 Do you have a simple baking tip to share? Have enjoyed your blog for several years. Wonder if you could. Recommend a charming hotel etc for our early April visit to lexington. Was inspired by jordons post on the early am visit to horse farm. The Gratz Park Inn is a charming hotel in downtown Lexington. You might also check out some Air B and B’s. I would love for you to go on the Toyota factory tour while you are here. My family did it last year and loved it. It is in Georgetown, which is about 13 miles from Lexington. You need to make reservations in advance. Also, be sure to visit bourbon distilleries in Lexington and surrounding areas. Have fun!